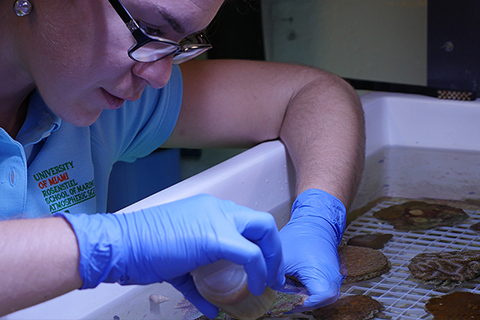 Donations to the Rescue a Reef program help fund the ongoing effort to restore coral reef populations in South Florida. $1,000: Your donation will support the outplanting of 100 corals onto a local reef to create a unique, living site. As a thank you, you will have the opportunity to name your rescued site! Donate today at http://bit.ly/donation_rescueareef or contact us at rescueareef@gmail.com to learn more about additional sponsorship opportunities. Any donation amount is helpful and greatly appreciated! Click the ‘Rescue a Reef’ Button here. Tax Deductible — The University of Miami is a Florida not-for-profit corporation and all donations are tax deductible as appropriate by law.